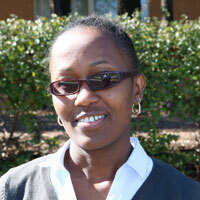 Esther is Plant Pathologist at AgBiome. Her role is to advance the integrated disease screening pipeline with main focus on discovery of biologicals. Prior to joining AgBiome, Esther worked for Dow Agrosciences-AgroFresh, where she focused on discovery of volatile postharvest-fungicides for soft fruits, pomes and citrus. She holds an MS in Plant Pathology from Michigan State University, and an MS in Horticulture from the University of Nairobi.